Here in this blog, we come with the top 5 image design apps for Android. Photos are still an effective way to catch someone’s eye. It shouldn’t surprise you if I said that photos are more powerful then words. If you take the photo but you may not like its brightness, orientation or you add something to make the photos look catchy. So don’t worry about that today in this article we come with top 5 image design apps for Android. These apps packed with a lot of extra features and more customizations. Most of the social media apps include editors in their interface. But if you want that your photo looks amazing, catch people’s attention. 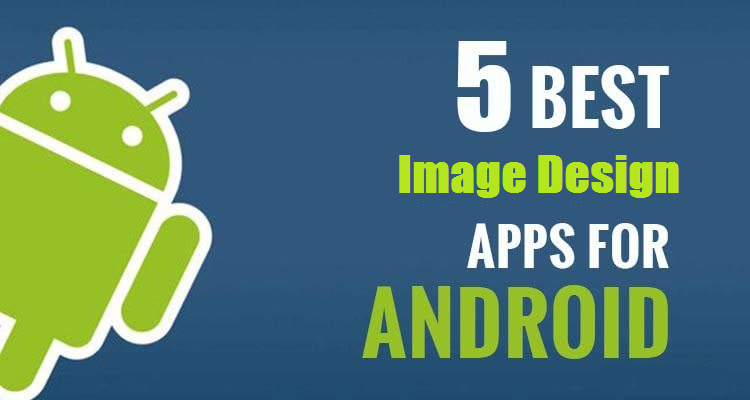 Then use the given below top 5 image design apps for Android. Canva is the free app for photo editing for Android. It has more than 60,000+ templates in almost every occasion and different sizes and types. Also, you can add multiple font layers and images in this app. With the help of Canva apps, you can create anything from publication materials, company logos, web mockups and so on. After using this amazing app you must love the Canva app. Sketchbook is one of the best apps for drawing on paper. the amazing app offers the switchable predictive stroke and it has 170 brushes that are fully customizable brushes. It was first developed by Alias Systems Corporation, before being acquired by Autodesk. The Adobe Illustrator Draw made specifically for touch screen devices. With the help of this app, you can draw an image on the screen of your Android device using a wide range of tools. You can create beautiful, scalable vector designs on your Android device with Adobe Illustrator Draw. Infinite Design is another one of the best image design app. It has an infinite canvas that can be rotated, zoomed, and pan. Also, Infinite Design has perspective tools that can be used when creating 3D images. The Paint VR app is a simple, fun and easy painting experience for everyone. The Paint VR is a free app which allows users for painting 3D image editing. When you used this app with a Samsung Gear VR or a Google Daydream then it gives you the maximize the features of the app. Trust me while using you must enjoying this amazing app.